Global warming is, quite simply, the biggest thing that humans have ever managed to do. I've been following the science and the politics (and the sad, gut meaning of it all) since the late 1980s, when I wrote the first book on the topic, The End of Nature. In the years since, both the scale and the pace of the peril has increased substantially—we now seem to be nearing tipping points past which truly cataclysmic damage would be inevitable. The only good news is that we are now also beginning to see some political drive for real change, a dynamic I've tried to help accelerate with large-scale activism in recent years. Bill's book, Fight Global Warming Now, contains a wealth of information on global warming as well as strategies and tools for building the movement against climate change. 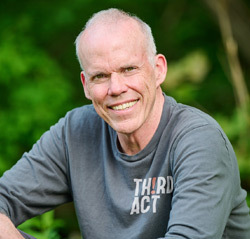 Please visit the global warming resources page, compiled by Bill McKibben and the Step It Up team.